Increasingly, organisations are embedding ‘doing good’ into the core of their strategies. Anticipating how global trends will affect their operating environment, and adapting their business practices to decouple growth from resource consumption and ecological degradation, they link their growth to driving social benefits. They aim to future proof their operations and supply chains by tackling social problems through their business models. Ways the circular economy supports impact sourcing, with some direct and indirect examples. 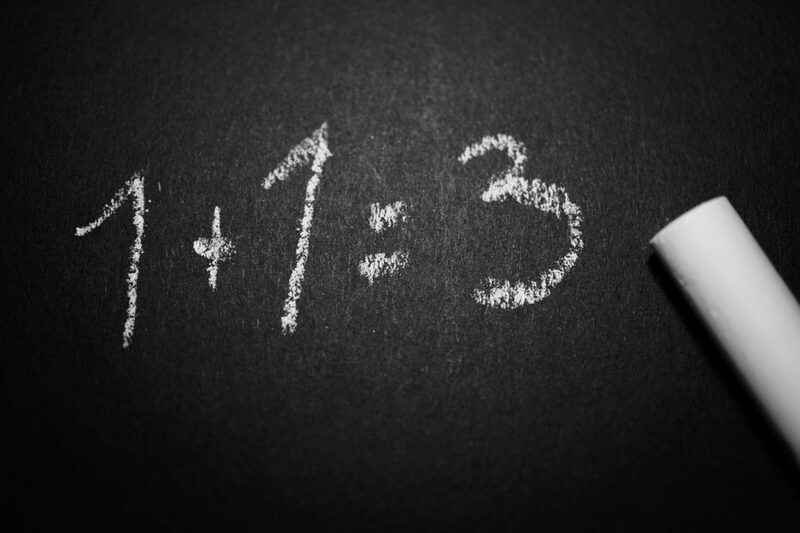 How to make the business case. Finally, there are suggestions for easy ways to get started. The circular economy supports this, with an intelligently designed, ‘whole system’ approach, creating more from less . Business models recover products and materials, focusing on use instead of consumption. ‘Waste’ is converted to new inputs, such as processing oranges to make juice: biorefining creates valuable by-products; pectin, pulp and zest go into food manufacture; orange essential oils are valuable for pharmaceuticals and cosmetics, and citrus peel creates a silk-like textile. Inputs are sustainable: renewable or recycled from supply chain waste or end-of-life products. Circular products last longer, are used more intensively and used again, with efficient disassembly and separation of each material for recovery. 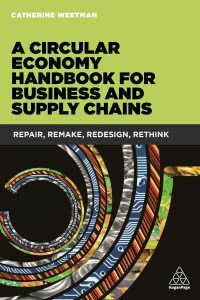 The tightest loops create most value: re-use, reselling, and then repair and remanufacture – recycling is the last choice. How does the circular economy support impact sourcing? The circular economy redesigns the negative feedback loop of destruction and depletion of resources and living systems, so we regenerate what we need to have enough, for all, forever. It opens up value opportunities in every sector, worldwide. Circular approaches reduce risk, whilst increasing agility and flexibility. Business and society become resilient, sustainable and fit for the future. The circular economy decouples products and services from resource consumption, going much further than resource efficiency and recycling. Cycling finite materials and using sustainable renewable materials, including water and renewable energy, helps both people and planet. Local flows and business models designed to encourage durability, repair-ability and reuse all help reduce waste and improve productivity. Resource efficiency, recovery of process inputs and converting ‘waste’ into new inputs and by-products reduces cost, creating new revenue streams and employment. Remanufacturing and repair creates markets for more affordable, high-quality products and equipment. Circular approaches can create a win-win solution, making an impact in the most effective and efficient way, and building strategic advantage. Sourcing and manufacturing, based on circular economy principles, can create opportunities for excluded or exploited communities, and distribute value more equitably. Forward-thinking businesses use procurement to make a positive social impact. Critics of the mobile phone industry point to the use of potentially harmful materials, questionable labour practices, and business models that encourage planned obsolescence, inability to repair, and short product lifecycles. Dutch company Fairphone began as a conflict-mineral awareness campaign in 2010. Seeking to prove consumer electronics could be produced in a sustainable, ethical way, all along the supply chain, they set out to create “the world’s first completely fair smartphone”: with a long-lasting design, fair materials, good working conditions, re-use and recycling. Fairphone became an independent company in 2013, later becoming a certified B Corp. There are now 150,000 Fairphone owners worldwide. Fair materials – source materials that support local communities, not armed militias, starting with conflict-free minerals from the Democratic Republic of Congo. Long lasting design – durable, rugged and repairable, to extend the phone’s usable life, and give buyers more control over their products. Good working conditions – factory workers deserve safe conditions, fair wages and worker representation, so Fairphone is working closely with manufacturers that want to invest in employee well-being. Reuse and recycling – addressing the full end-to-end lifespan of mobile phones, including use, reuse and safe recycling. An overarching aim is to ‘tell the whole story’. Through making the supply chain transparent, Fairphone wants to trigger wider societal discussions about where products come from and how they are made, encouraging members of the public to join the movement and share their views in the community forum. Buying directly from organisations that employ disadvantaged people can maximise the positive impact. Often these organisations may be hidden, their margins squeezed, amongst multiple tiers of suppliers in the supply chain. Celebrating these suppliers and sharing the value created is beneficial for all parties, often improving the product’s customer appeal. Rype Office, a UK-based supplier of high quality, sustainable office furniture, aims to create profitable, positive impacts. It offers a design service, and focusses on reuse, repair and remanufacture of furniture to reduce costs and environmental impacts. Rype Office is working to create a ‘Fairtrade’ procurement approach, building close relationships with social enterprise suppliers to make the most of available skills, help them to develop the commercial side of their operations, and ensure the rewards flow directly to the social enterprises, in the form of both commercial revenues and brand exposure. For example, Rype Office is partnered with Greenstream Flooring, a social enterprise creating vocational training for long term unemployed in impoverished Welsh valleys and with a mission to provide flooring to low-income households. Reclaimed carpet tiles cost less than new, reducing costs for business customers, and the revenues go to helping Greenstream Flooring to achieve its worthy social aims. When it needs new box frames in sofas, Rype Office sources from the Merthyr Tydfil Institute for the Blind (MTIB), channelling expenditure directly to aid those with disabilities, thus avoiding value lost through sub-contraction. Rype Office’s marketing activities help increase the profile of MTIB, and ‘telling the story’ to the client and those using the furniture highlights the social value of impact sourcing while increasing the appeal of the sofas. Rype Office also employs disadvantaged staff directly for projects large enough to provide a meaningful period of employment. This teaches vocational skills and creates employment pathways, helping to secure full-time/permanent positions at the end of the project. A ‘whole systems’ supply chain perspective can highlight opportunities to support workers, their communities and the local ecosystems they depend on. Designing ecologically sustainable systems significantly improves resilience and resource security, simultaneously reducing the negative impacts of pollution, waste and degradation. High profiles examples include Unilever, committing to Zero Net Deforestation by 2020 for four commodity groups: palm oil, soy, paper and board, and beef. By 2025, Unilever aims to achieve a circular solution for its plastic packaging: either reusable, recyclable or biodegradable. Environmental initiatives, such as the Forestry Stewardship Scheme, CanopyStyle, and socially-focussed schemes like Fairtrade, are increasingly influential. Sector collaborations are springing up, with competing companies joining forces. The Electronics Industry Citizenship Coalition (EICC) aims to make a positive impact on people and environment, supporting the rights and wellbeing of workers and communities worldwide affected by the global electronics supply chain, with a range of initiatives including responsible raw materials, chemical management, trafficked and forced labour, and working hours. Circular economy approaches multiply the benefits of impact sourcing, including risk reduction, resilience and agility, and wider value opportunities. You might explore ways to secure long-term supplies, by decoupling growth from resource consumption and ecological degradation. Are your suppliers facing water scarcity, soil degradation, and climate disruption? Could they swap something toxic, scarce or expensive for recycled or renewable resources? Can you support smaller suppliers with tools and training, help them diversify with new by-products and co-products, and become more resilient? Could they generate revenue from waste, through new by-products and co-products? Is farming profitable enough to be sustainable, and attract the next generation? Could precision farming or other regenerative practices help? Investigating your upstream supply chain, perhaps using the Future Fit Business Benchmark, can highlight long and short-term risks – such as reputational, environmental, or security of resources. Could you encourage suppliers to develop circular approaches with social benefits for workers and communities, creating a ‘win-win’ solution and shared value opportunities? Assessing key services and materials could highlight some quick wins, and help get buy-in from other stakeholders. Collaboration might enable a faster, bigger-scale impact for more complex challenges. “Do no harm” can develop into “do more good”. The circular economy reduces ‘externalities’ including pollution and degradation, and transfers jobs from extraction and mass-production to service, repair, remaking and resource recovery. Resources are safe, secure and used instead of consumed. Circular, sustainable approaches fulfil the Future-Fit system conditions, transforming a business into a force for good: creating enough, for all, forever. [v] McKinsey (2015) Growth within: a circular economy vision for a competitive Europe. A report commissioned by Ellen MacArthur Foundation.